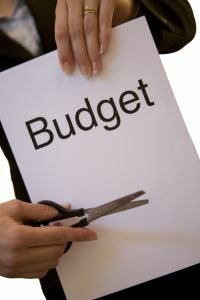 Budget plans are a critical part of managing your personal finances, but many times these plans get out of control during development and improving them takes an impractical amount of time. When this happens, you should use one of these methods to simplify your budget plan and get it to a place where you can begin working on it again. Choosing the right system for yourself is critical, and not only your system but also attitude and circumstances play a big part in a budget plan’s effectiveness. As always, don’t take this as the end-all. Learn more about ways to implement budget plans as well as the pros and cons of each system. The best part of budgets is that they are fluid, and can be changed based on any extenuating circumstances. Everyone’s expenses and income change over time, so your budget plan will as well. Regardless of the type of budget, you will definitely have two sections: income and expenses. That’s what our systems are based off of, but before that let’s see some of the benefits brought if you simplify your budget plan. This first method is based off of determining all of your sources of income before deciding on what you will spend it. Making a plan can be very boring and repetitive, but this lets you grow your picture from the ground up, and is the most popular way to simplify your budget plan. After you determine your total income, you can use percentages for various needs, wants, and future uses. For example, you can dedicate 50% of your income towards fixed expenses and bills like a mortgage, utilities, rent, insurance, and other regular expenses that tend to stay the same. 25% can go to wants or variable expenses, like groceries, food, clothing, or gifts—payments that are made each month but impossible to predict an amount. The last 25% will go to savings account or paying off any accumulated debt. The percentages will depend on the circumstances of your finance, like the ownership of your home, your lifestyle, and how many people you share a home with. A benefit of this method to simplify your budget plan is that you can base expenses while knowing exactly how much of each you can afford, and in this way you can limit your purchases accordingly. For example, if you know that your wants have a monthly limit, you can plan for groceries, food, and other things that are possible to save money on. Once you see your expenses approaching the limit, you know to halt spending. The downside is that there is little motivation to increase income apart from increased budgets, and may be tough to follow if your income is low to begin with. However, it’s a great way to simplify your budget plan. If you think that basing your budget off of your income is not the best way for you, you can measure your expenses first to simplify your budget plan. Use a typical month to determine what kind of expenses you have, and then find a total of the amount and adjust your income levels to meet them—which is much easier if you have a part-time or hourly job. It also sets a clear goal for you to earn every month, and provides a great motivation to increase one’s personal income as well as a way to simplify your budget plan. The biggest difference between this plan and income first plans is that it encourages a higher cash flow, rather than focusing on cutting back to meet your income. It may be ideal for people in flexible jobs or positions, or people with multiple variable sources of income. Still, it is much less popular than an income-first method and is only used by a select group, usually low-income groups like college students. Both of these ways to simplify your budget plan can greatly improve your finances, but it can be hard figuring out which option is the best for your own financial life. People lead widely varied financial lives, so small modifications to each method are likely necessary. Typically, the first stresses cutting expenses while the second focuses on growing income, so the way you intend to strike a balance holds a lot of weight in this decision. If you don’t know where to begin budgeting, many sites have free budget plan templates that can get you started on the path to financial stability. There’s also interactive budget planning worksheets for free download, budget calculators, and other tools to make keeping track of your financial future as easy as possible. As always, research before making any big decisions, and never be afraid to contact a professional for help.